The Gulf of Thailand is renowned for its extravagant tropical beauty; famous island destinations like Koh Samui and Koh Tao lure hundreds of thousands of tourists each year, all flocking to enjoy the Gulf’s famed diving and sun-soaked beaches. Once a sleepy paradise known only to adventurous travellers, large developers, including groups like Four Seasons, Banyan Tree and Hilton, have transformed Thailand’s Gulf coastline into a commercialized playground. But for those seeking something wild and unique – like Koh Samui before the arrival of mega-resorts – it can still be found it on the other side of the Gulf. Cambodia is a nation still healing from a troubled past, but its rich cultural heritage and pristine natural beauty are fueling a strong tourism industry, with more than two million international visitors each year. Popular sights include majestic ruins of ancient cities, the treasure-filled Silver Pagoda at Phnom Penh’s Royal Palace, and of course, breathtaking Buddhist temples like the famous Angkor Wat complex. Cambodia is also a nature lover’s fantasy; the jungles are lush and largely pristine, rare species thrive, and unusual river dolphins can be seen swimming along the Mekong. Cambodia’s coast along the Gulf of Thailand is somewhat lesser-explored, but has a surprising provenance as a luxury destination – before the Vietnam War and the subsequent rise to power of the Khmer Rouge, seaside towns like Sihanoukville were filled with charming resorts catering to the jet set; no less than Jackie Kennedy and Hollywood stars like Charlie Chaplin and Catherine Deneuve spent holidays here. Now, the south coast is undergoing a tourism renaissance – among its jewel-like tropical islands, it will soon introduce the country’s first private island resort. 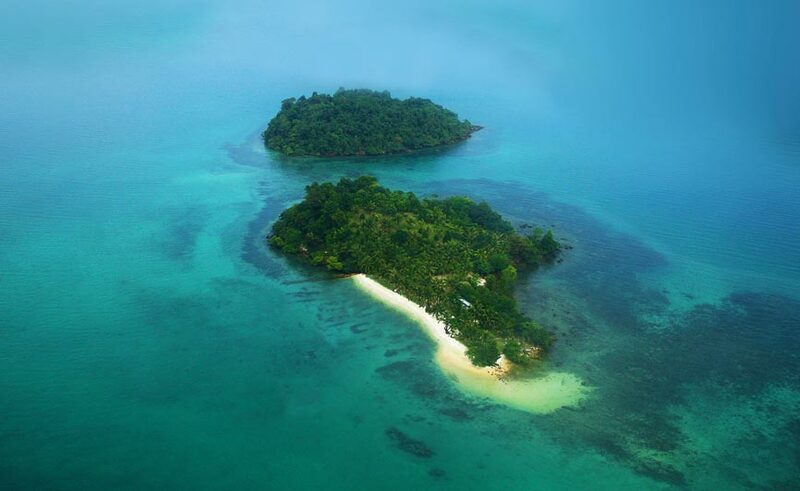 Song Saa Private Island takes its lyrical name from the Khmer word for “the sweethearts” – the resort is composed of twin isles in Cambodia’s stunning Koh Rong archipelago. Connected by a footbridge, the two islands are home to an ambitious resort that aims to blend world-class luxury with sustainable development, using local materials and following a strict conservation program. 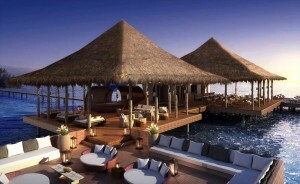 As well as ecological tours, the resort will offer yoga and meditation, diving and water sports, and access to more than 20 undeveloped islands in the archipelago. 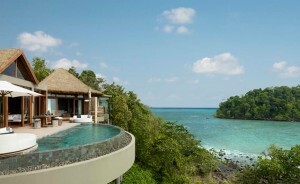 Song Saa’s owners, Australian couple Rory and Melita Hunter, came across the islands six years ago while on holiday; long-term lease negotiations and several rounds of financing later, and the pair are almost ready to introduce their spectacular $21M hideaway. The upscale resort is a daring venture in a country most often frequented by budget travelers, but according to a report by CNN 360, the Hunters have successfully sold most of their 27 high-end villas. Buyers of the $600K-1.75M properties can use the villas for one month each year, and must allow the resort to rent out for the remainder, while taking a percentage of the proceeds as a return on their investment. With a projected price tag of $2,000+ per night for the one or two-bedroom villas, the Hunters have taken great care to ensure that no luxury, from infinity pools to gourmet meals, is too great for Song Saa. Scheduled to open on December 31st of this year, only one question remains; is the world ready to accept a whole new side to Cambodia?